A cruise ship from Montreal has collided with the Eisenhower Lock on the St. Lawrence Seaway, injuring 22 people and forcing the partial evacuation of the ship. 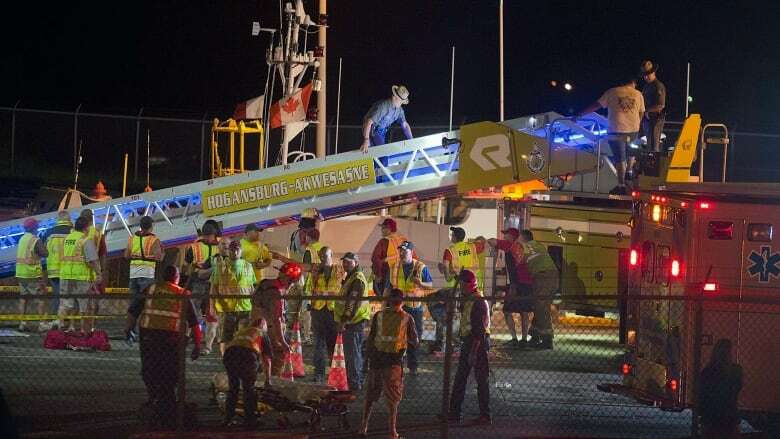 A cruise ship from Montreal collided with the Eisenhower Lock on the St. Lawrence Seaway on Thursday night, injuring 22 people and forcing the partial evacuation of the ship. 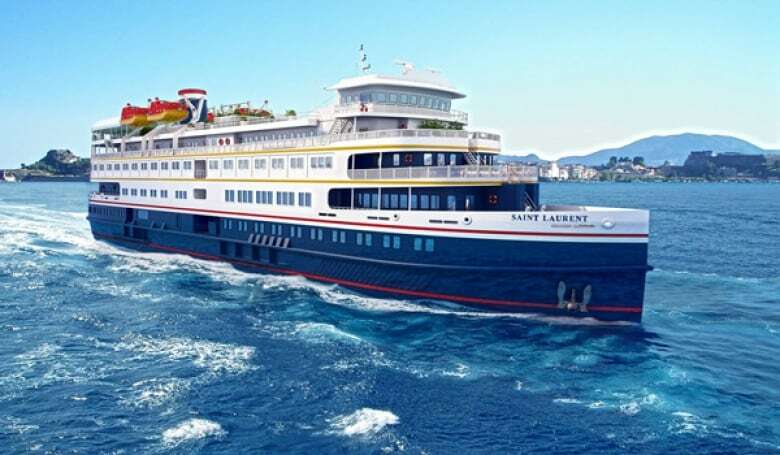 The Saint Laurent, a 90-metre-long luxury passenger ship, was carrying 274 people at the time, according to a news release from the U.S. Coast Guard. It was heading to Toronto. Nineteen injured passengers and three injured crew members had to be removed from the ship with the help of fire officials late last night. All of the injuries appeared to be minor, according to FleetPro Passenger Ship Management, the company that manages the ship. Coast guard officials initially reported that 27 passengers and three crew members had been injured. FleetPro revised that number in a news release issued Friday afternoon. The Saint Laurent was travelling through the lock in Massena, in upstate New York. It entered the lock around 9 p.m. and hit the side of the concrete wall shortly afterward. The coast guard was called to the scene around 9:45 p.m. ET. "When the ship hit the wall, it started taking on water," said coast guard spokeswoman Lauren Laughlin. She said the doors to the lock were closed and water was removed so the ship didn't sink further. After that was done, rescue crews started taking the injured off the ship. Laughlin said ladders, ropes and pulleys were used to help move people from the boat to dry land because the ship was not near a pier. Once the injured were safely removed, the ship was secured for the night. Rescue crews will try to move the ship to a safer location on Friday. The cause of the collision is still being investigated, the coast guard said. Ten ships trying to get through the waterway on Friday afternoon were halted, as they had no way to get around the collision site. Buses were arranged to bring passengers back to Montreal. "At this stage we don't expect that the lock will be reopening until, at earliest, sometime tomorrow," said Andrew Begora, an official with the St. Lawrence Seaway.